Hello! 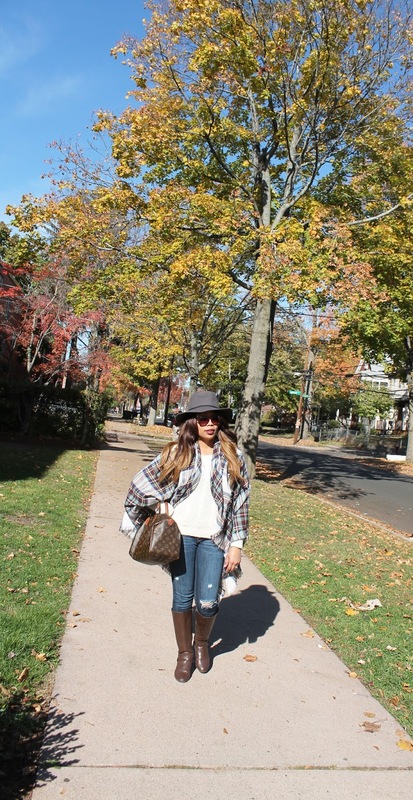 Welcome to another "My Mommy Style Monday" sharing my on the go look that I absolutely love. This fall I am here for Blanket scarfs, floppy hats and knee boots (not that order) I love how my hat indirectly matches perfect with my Blanket scarf (that I've been wearing pretty much every day.) Also, sorry for the lack of pictures with this look. I typically try to capture at least for good poses. My photographers were busy (aka The Mister and my Mini King).